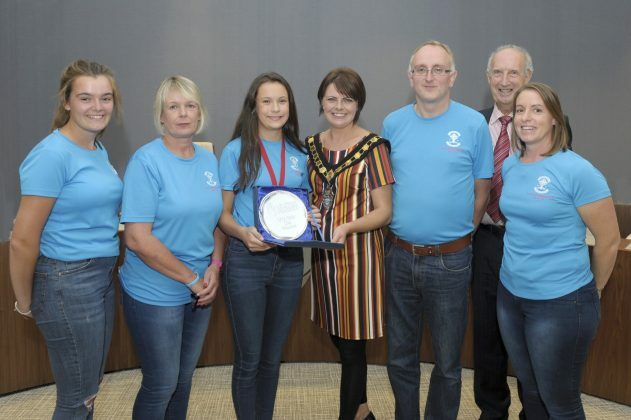 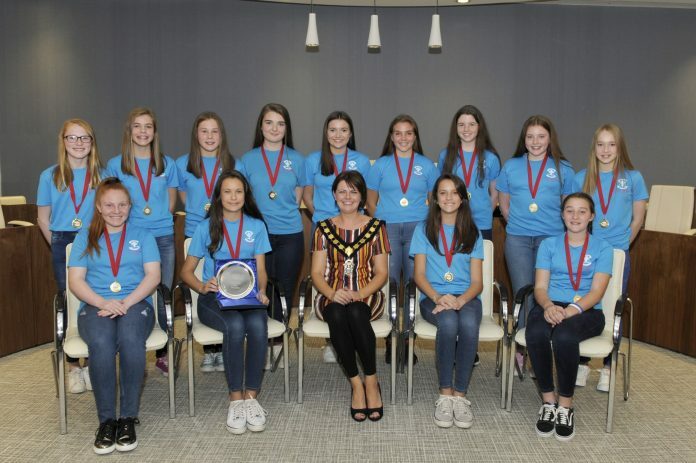 The Lord Mayor of Armagh City, Banbridge and Craigavon, Cllr Julie Flaherty was delighted to welcome members of Dromore U13 Girls Hockey team to Banbridge Civic Building to congratulate them on winning the Ulster Cup at Stormont in May 2018. 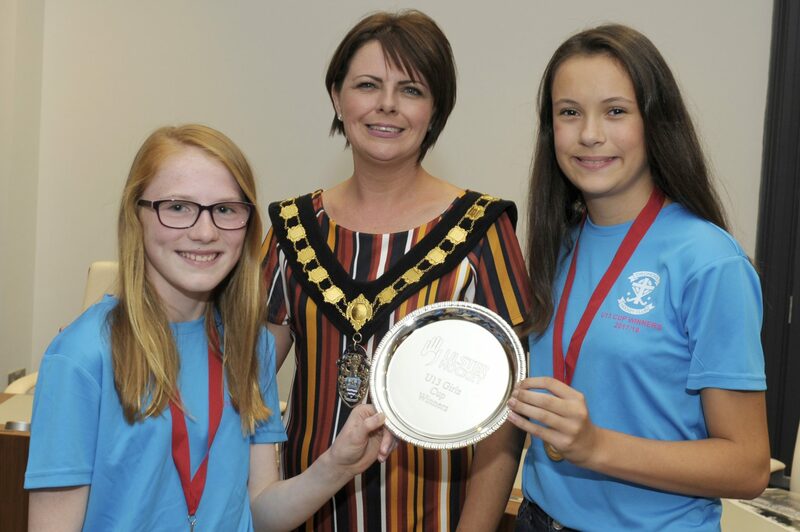 Lord Mayor pictured alongside Ellen Wood Vice Captain and Ruby Wilson Captain. 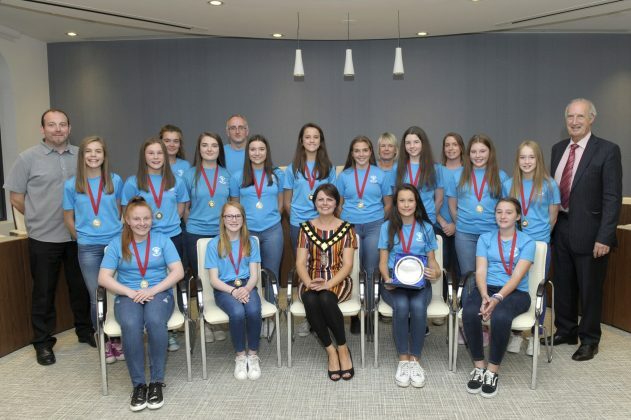 Celebrating Dromore U13 Girls Hockey Ulster Cup win are; Sarah Wilson Assistant Coach, Andrea Wilson Junior Co-Ordinator, Ruby Wilson Captain, Lord Mayor, Cllr Julie Flaherty, Jonny McBride Head Coach, Alderman Arnold Hatch and Lisa Hedley Assistant Coach. 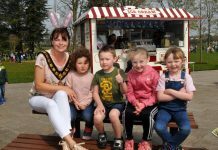 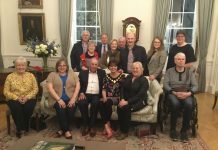 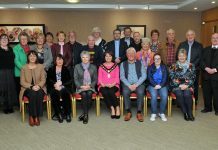 Next articleCouncil supports local businesses seeking to sell to GB!